From 2005 to 2007, I worked the night shift at an old hotel in downtown Chicago which had a reputation for being haunted. Before I started working there, I didn’t believe in ghosts, but after hearing lots of different people describing the same exact things, I am having a hard time disbelieving now. For example, over twenty different, unrelated people (some employees, some guests) have had sightings of a young boy in brown short pants and a brown and white striped shirt. That is too many times in my book to be simply explained away. A woman died in the bathroom of 1244 (in the late 80s) by falling into the bathtub at a weird angle and snapping her neck. People in 1244 complain of hearing a woman moaning and seeing a white figure pace around their bed at night. Room 441 – Two military guys were staying in this double room. They were in bed, watching tv, when they swore they saw a man come out of their bathroom, cross the room, open a closet door, and step inside. When they checked the closet, it was empty. They ran down to the lobby, in their t-shirts and boxers, and checked out. They refused to go back to the room for their belongings and Security had to go pack their things and bring it down. What follows is a log I kept during my time at that hotel of strange sitings and experiences. Some of these are not direct from the source, but told to me later when I got into the hotel (as everyone knew I was keeping a log and made sure to tell me when things happened). We sent security up there and neither saw or heard anything. Over the next 2 weeks, we got roughly 8 – 10 guest complaints (all from different guests) complaining about this peg leg walker. *Room 441 – I go on a little mini-ghosthunt with a co-worker and the Night Engineer. We enter 441 and I comment on how the clock is off. It was almost four in the morning and the clock said 12:44. Night Engineer lays on a bed for a quick nap and co-worker and I are just chatting, and we start surfing through my iPod to find some good songs. *12th floor – A long time ago a guest reported seeing a little boy standing by her bedside. He ran into the bathroom and disappeared. The guest checked the bathroom (empty) and room door (locked). 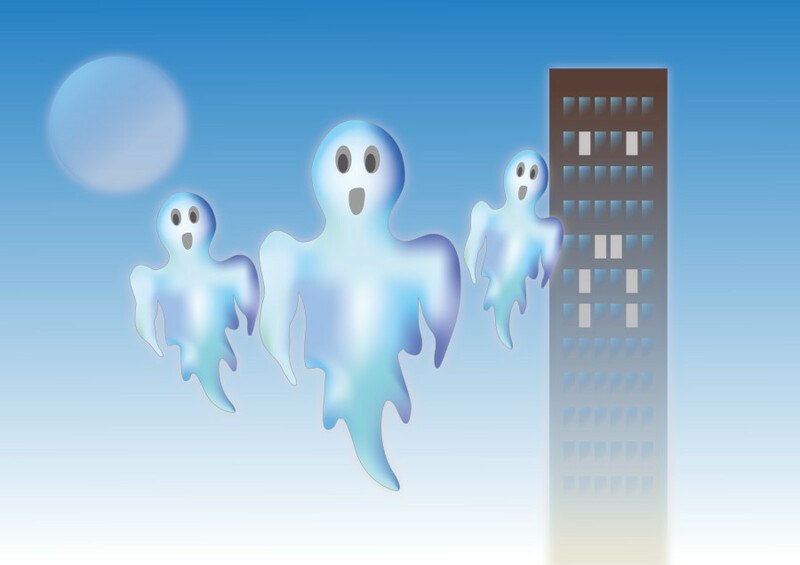 Just last night a guest asked if the 12th floor was haunted, saying she kept seeing a little boy, wearing brown shorts and a brown and white striped shirt, running through the halls. *Room 905 Every couple of weeks, for a one or two day period when the room is vacant, it calls the front desk. When you pick up, the line is all staticky and eventually disconnects. Some nights we get as many as five calls from this empty room. This does not happen on the other shifts, just the night shift.